bartlett mitchell, one of the UK’s leading independent caterers, has today launched ‘Rise and Shine’ – a new concept aimed at tapping into the increasingly competitive breakfast market. The seasonal initiative, developed following extensive research by the company, aims to target time-poor individuals and ‘Millennials’ who now prefer ‘one-pot meals’ which are portable and easy to eat and at workstation or desk. As part of its research, bartlett mitchell surveyed its chefs, employees and customers, enabling them to develop dishes specifically targeted to its audiences. Recent research from Mintel and MMR have both also indicated a significant increase in the dining out breakfast market, suggesting that one in seven people are now eating breakfast out of the home. Of these, almost 70% of breakfasts are eaten in the workplace. Simon Houston, sales director, bartlett mitchell said: “Through our research, we have seen a significant increase in demand for more breakfast options across our restaurants and cafes, with sales in some cases reaching 25% increases versus previous year. 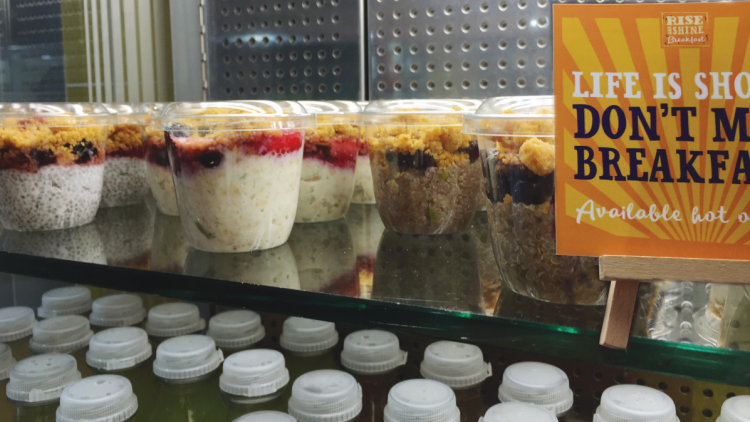 “Our research suggests, that as our customers’ lives become more fast-paced, the shift in the sales mix is down to the need for healthy, energy-packed breakfast options to allow our customers to fuel their busy day ahead. We see this as a real opportunity to further support our clients in creating a healthy, engaged and energised workforce for the future. “We have observed that customers are becoming more discerning about breakfast and demand practical and convenient-to-eat options for their first meal of the day. As part of the new concept, bartlett mitchell has also introduced meals which are low in sugar and contain ingredients which enable customers to sustain their energy for longer. ‘Rise and Shine’ will feature items such as ‘Oat Bircher Muesli with Apple’, ‘Hazelnut and Cinnamon, Cornflake Milk’ and ‘Potato and Onion Hash Egg pot’.